This most amazing oven roasted corn is outrageous! It’s almost hard to believe because it is so ridiculously simple to make, as well! This has now become a regular rotation in our dinner menus at home. Hot out of the oven, you must top it off with some butter, salt and pepper and it’s absolutely heavenly! Eat it fresh from the oven but don’t just stop there! I love to cut the kernels off the cob and use them in fresh salads and homemade chicken pot pies. Click here for my mini pot pie recipe! You can really taste the difference when you’re using fresh corn on the cob! And it’s not only for the summer! I recently spotted some fresh ears of corn in Whole Foods so we were eating this while there was snow on the ground! Imagine how spectacular it tasted….a real treat in the winter months! I hope your family loves this oven roasted corn as much as we do. Using nonstick foil on your pan also makes for a nice, easy clean up. Perfect after a long day of work! If you try this, let me know what you thought! Can’t wait to hear. Very generously season your cobs of corn with kosher salt and pepper. Add a pat of butter to the tops and roast on a jellyroll pan (lined with nonstick foil) for 35-45 minutes, or until starting to brown! While it's cooking, turn the corn occasionally. Top off with a drop more butter fresh out of the oven! FRESH CORN IN JANUARY? TOUGH TO BEAT!!! I do this on a grill…only I rub with olive oil and salt/pepper. My grill is not currently working!! 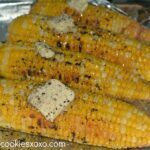 I will have to try this because I was panicked a bit about how I was going to have my roasted seasoned corn w/out my grill!!! Made last night and only put on mayo and it was great ;cooked on gas grill with lid closed at 425 degrees. Can you use frozen corn or is fresh best? I use mayp with a few shakes of chill powder and paprika. Yummy! You saved our graduation party!! What a hit was our fabulous baked corn. Thank you!! Try sprinkling a little cumin and chili powder. When it’s done, add crumbled feta. YUMMY! We also do this on the bbq. We add onion and garlic powder as well. I do this on the bbq & I use a little butter, some lime zest, the seasoning used for carne asada sprinkled and pepper. Once finished, I add the lime juice from the zested lime, melted butter & a little parmesan cheese. Delicious!! Try spreading your corn with mayonnaise (I’m in the South, so Duke’s is standard in my house) and sprinkle with hot pepper flakes. It sounds strange, but it’s unbelievably delicious! This is like using mayo to make grilled cheese sammies…. tastes the same as butter… will not burn.. Really!! the mayo improves the flavor that much? I will have to try it!! Try putting mayo on the corn cobs, season them and then roll in parmesan cheese. oven roast and you have a treat. 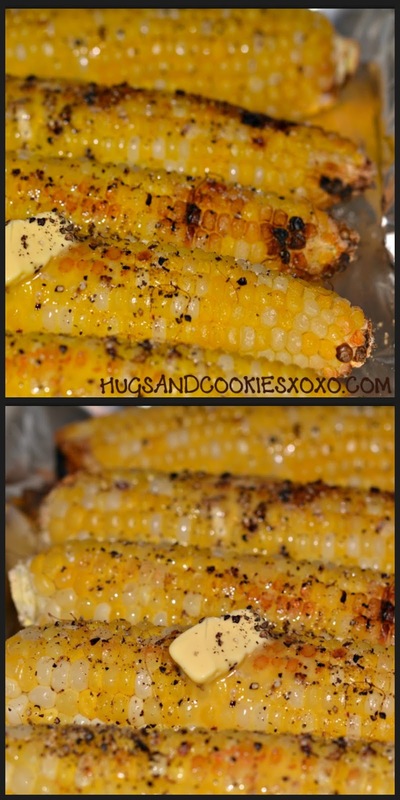 Omg..yess..this is how i make my corn on the cob all the time..my family loves it ! Do you use the mayo after you bake it? We’re used to doing it on the grill, but I like the idea of being able to do it in the oven. 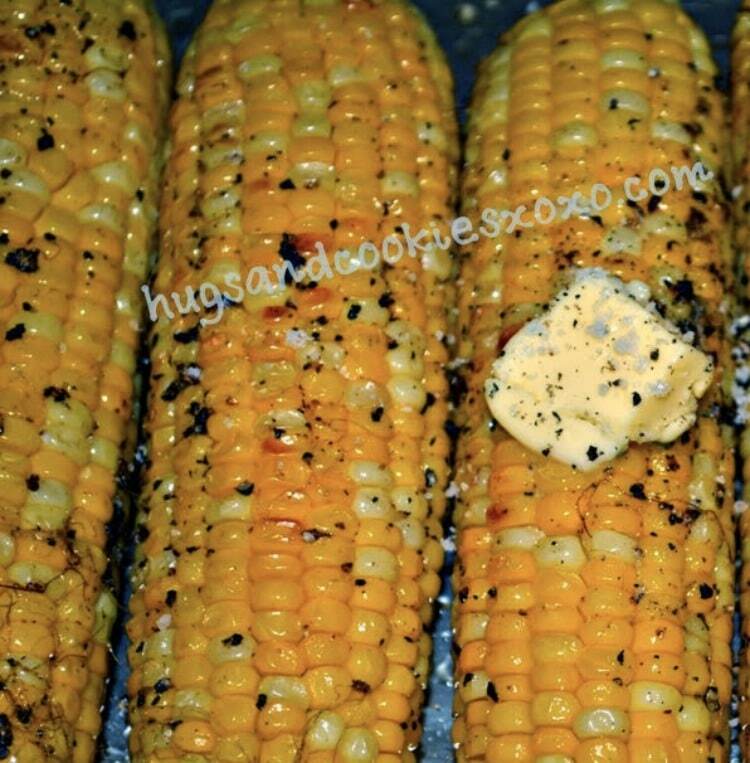 You can do this on the grill with the husks on just soak the whole corn cob in salt water for as hour before hand and put on the grill and when ready to eat just take off the husk mate due to rotate on the grill frequently our husk will burn. We grill it and use garlic salt. I love it grilled but don’t like starting up the grill just for corn. This would be a great recipe to use for grilled corn that I cut off the cob and mix with avocado, cucumber, jicama, cilantro, and lime juice. 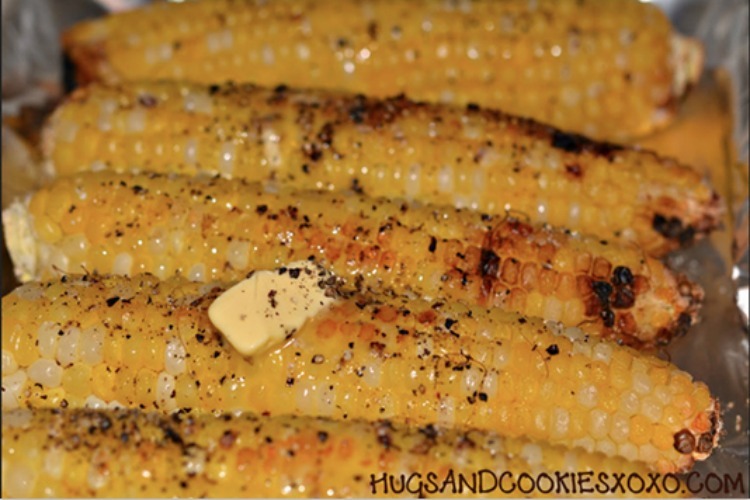 You can use a toaster oven to avoid starting up the grill just for corn. We grill in the husk… pull down husk, wrap in bacon, pull husk back up. This oven idea would be great with butter and dry ranch seasoning. To Blue Skies, the bacon idea sounds interesting. Do you first soak the corn with the husk in water and for how long? Then peel back the husk and wrap the bacon? 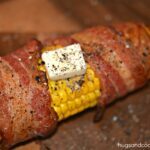 Do you use one strip of bacon per cob? Also, are you adding any butter or is the grease from the bacon enough for the flavor? Also, doing it with the bacon could you do it in the oven or just on the grill? I love grilled corn. But for everyday quick corn, the microwave is amazing. Stumbled on a youtube video. 6 minutes per ear (I have used this formula for 2-6 ears and it worked) on high. Leave corn in the husk. Do not remove. When done, cut at the base right above the little pokey part. Serrated knife works best. Then grasp at other end with a hot matt and shake out the corn. Takes 2-4 shakes and it just pops right out. No strings left on it even. Do I need to soak the corn in water for an hour or so before I put it in the oven? Or can I just buy the frozen corn on the cob and use that. I’ve done this with frozen corn. I just used a glass dish that had a lid to help it thaw quickly and then begin cooking. I have only made this with fresh corn and did not need to soak. Love doing this! I put fresh dill sprigs on top and spray a little olive oil on top as well. Wowm that’s different! I will trust you and try it! When we were out on a missions trip in Mexico we tried out a different set of toppings/seasonings. Naturally there’s no refrigeration where we were. They put some mayonnaise on the corn, coated it with the crumbled Mexican white cheese, and then sprinkled it with a little chili powder. Sounds so un-American yet is good. Since then our youngest daughter (now 18) has to have it that way (except substituting Romano or Parmesan cheese). I use a little season salt on mine along with the butter, salt, and pepper. Delicious! I love corn anyway I can get it. I’ve had it on the grill, deep fried, boiled, cut off the cob pan fry w/bacon, sometimes I add milk and little flour to make cream corn. My fav is Silver Queen Corn (white). always S&P to taste. First time to the site, I will be back. I love cooking always open to ways of serving. Made this just now for dinner, and it was so good, I already sent the link to everyone in my family. Great recipe with perfect results! I tried this is was really good. The 2nd time I did it I added a little water & butter to the bottom of my pan & covered the cobs for the 1st 15 min. with a piece of parchment paper. After that I took the paper off added a little seasoning & rotated the cobs about every 7-8 min in the butter on bottom of pan! It was REALLY good! Just tried this — SO GOOD!!! And it sure beats boiled corn; loses all the flavor in the boil. Will always make it the roasted way. I am not sure but I’d be curious too! If you try it, let me know! Can you modify it for frozen corn, for the off season? Try using Old BAY seasoning. 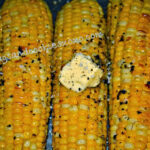 Roasted or grilled corn is also good with a few shakes of Tony’s Creole Seasoning!! 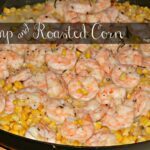 I’m gonna sooooo do this…the BBQ method has been in my brain for roasted corn – thanks for the inspiration to use my oven (too :). I’ve done this on the grill but never thought about doing it in the oven. I will try this, we are rained out and do not want to boil corn. Sounds good, try using chilli powder, mayo, butter and Parmesan cheese with lots of lemon pepper.yum! This sounds delicious! I will give it a try this coming weekend! I am a little disappointed in all the remarks about how to “do it better”. I would love to hear from those who have actually tried this EXACT recipe and method. It’s gonna happen on a recipe page, I tend to feel the same as you sometimes, but try to embrace it and learn new things! Yummy! I just tried this and my family loved it!! Thanks for sharing!!! If you make this recipe on the grill do you still use the baking sheet underneath or place seasoned corn directly on the grill grates? I’m going to try this, sounds simple but delicious which is great.My favourite corn at the moment is simply microwave it then smother it in butter mixed with fresh chopped chilli,coriander,lime juice & crushed garlic,salt &a black pepper. I made this last night for our cookout and it was really, really good. I will be making this a lot from now on!! Thanks for sharing! My husband loved this. I guess I will have to fix corn on the cob like this from now on. I loved it too. Aww yiss. Just had some delish corn on the cob and used this recipe. This sounds wonderful. However, I learned of a very simple way through Tyler Florence. And I’ve cooked my corn this way ever since. Take the corn as is from the market, I just trim the extra silk coming off the tops with scissors. Then place directly into a preheated 350℉ oven for 30 min. They come out perfect every time. Either way corn is addicting! Thanks for your recipe. I will try it next time! You remind me of the magazine Taste of Home,from whom I’ve collected dozens of recipes. I’ve never made roasted corn before,and I’m eager to try it. My mom made it with barbequed chicken,damn,was it good! I was a sceptic. I thought roasting corn in the oven without the husks was a ….I don’t know …mistake? It turned out great, thanks! And that’s coming from a person that is Milwaukee Wisconsin, we love our corn on the cob and brats! Aww thanks for your honest review! Thanks for the baked corn recipe. Thank you for being a teacher. I come from a lineage of teachers. 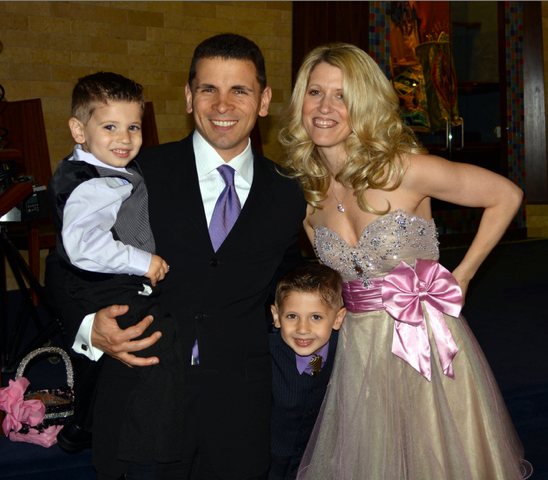 I had a teaching certificate and decided to go into corporate America. My daughter is a high school math teacher and loves it. I was a math and an education major. I had a computer science minor and decided I wanted to be a computer engineer instead. It was back in the dark ages when there were very few females in the industry. Now that I am retired, I wish I were physically able to substitute. Again, thanks for giving to our future generation. This way is just so delish, I make my corn this way now all the time. Yummy! Make sure it is ORGANIC or it is GMO. I also like when you grill the corn with husks on. Spread the husks away from the corn being careful not to detach them and then pull out the threads and put in Butter and salt and pepper then close them up and wrap in foil…grill until done. Yummy too! I have been cooking my ears of corn for years in the oven ! BUT, I like to put it under the broiler. Salt, pepper and butter it and put them in a pan under the broiler. Turn about 3 times, (I like to get a little brown on it) and YUMMY, the best corn on the planet !!! Everyone I have fed it to loves it. I love corn (it’s the only thing my mom could keep down while she was pregnant with me, actually!) and this seems like the recipe I need for tonight! Often I have made your corn on the cob recipe and it is absolutely stellar! I was wondering if I could have permission to include this in my blog, along with 1 photo? You would have full credit, and I would only post a link to the recipe, which would take them directly to your site. I would not suggest any changes as I felt it was absolutely perfect as is. Hope your blog is going well. How can my son get on to it? Sounds like something he could really use. Do I need to boil the corn first before putting in the oven? if using mayo on the roasted corn when do you put it on ,,,,,before roasting? I tried this..i mixed a little butter with garlic and some bacon grease..with salt and pepper..when it was done i put some fresh parm. Cheese on top with some fresh thyme..oh my..my life is forever changed!!! Thank you so much for this great easy recipe!! awesome!!! My mom just made it tonight, too! do you need fresh corn or can you use frozen corn? I used fresh but I bet frozen would be great, too!